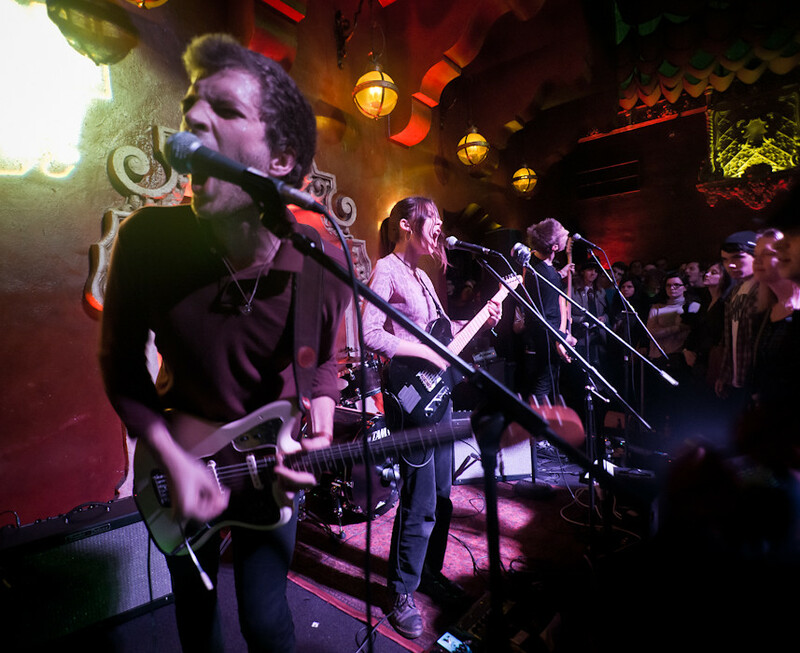 Wolf Alice roared into their Los Angeles debut at Bardot Hollywood. Wolf Alice marched into Bardot's Hollywood with a full on guitar-assault and roaring vocals from front-woman Ellie Roswell. It was a day of firsts for Wolf Alice. Earlier in the day, they made their U.S. radio debut on KCRW's "Morning Becomes Ecclectic." Last night was their Los Angeles live debut and this tour marks their first headlining tour on this side of the Atlantic - all unfamiliar and new from this four-piece band from London. What was familiar to them was the rain that greeted them all day. "We brought the rain with us," joked Roswell. But the rain didn't stop die-hard fans from seeing Wolf Alice; packing Bardot from wall-to-wall. Half the crowd had to watch from monitors in the adjoining room. Wolf Alice got the crowd into a frenzy, launching straight into "Moaning Lisa Smile," one of their biggest and loudest hits. While most of their set included songs off their Creature Songs and Blush EPs, Wolf Alice did tease the crowd with new songs "You're Love's Whore," "Giant Peach" and "You're a Germ," which are off their upcoming debut album which should drop later this year. Also this night, they pulled out something from the way back machine - "90 Mile Beach," a song they rarely play anymore but relearned it after learning it was getting a lot of airplay on KCRW. 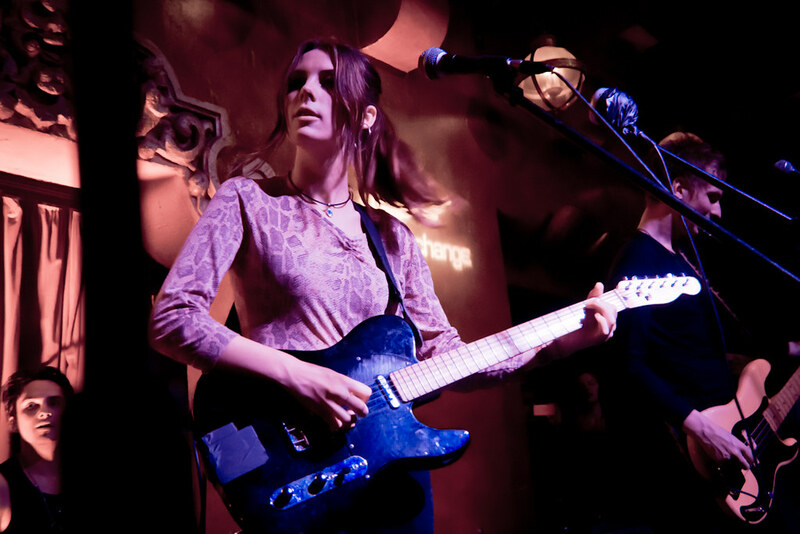 Wolf Alice's Ellie Roswell performs at the Bardot Hollywood. Currently working on their debut album, we'll likely get to hear their new songs when Wolf Alice returns to tour the U.S. again next month. Wolf Alice continue their U.S. tour in New York where they've already sold out the Mercury Lounge on Jan. 30th. On March 14th, they return to Los Angeles when they perform at the Bootleg Theatre before they make their second appearance at this year's SXSW in Austin.